Jacuzzi branded Emerson 1.5hp motor. Put the power to it...buzzzzz, 20A breaker trips. Put the power to it and spin the shaft with a screwdriver in the slot at the back...Runs fine. Sounds like a bad/shorted start capacitor. Does kinda sound like an open start cap. They are not difficult, once you get access to it. I don't readily know the layout of an emerson pump motor w/ run cap, think you could grab a couple of good-sized photos of the motor and the nameplate? Well.... I may have to defer to some of the pump guys on this one. I believe that is an Emerson EB229 motor, like a 56J, or C, but I cannot be certain 'cause Jacuzzi may have some odd spec for their OEM. It doesn't appear to have a cap at the motor. Without a start cap, that kinda leaves start windings and/or a speed switch. 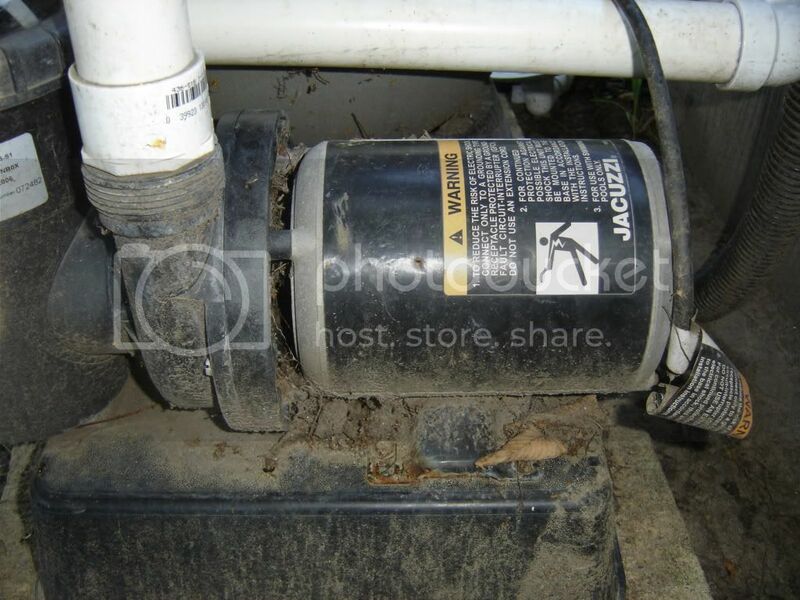 One thing I noticed is all the gunk around the motor and between the motor and pump. You may want to start with giving the motor a real good cleaning. This debris can cause drag on the motor as well as lead to overheating issues with the motor. Get as much of that garbage out of there as you can. Turn the power off and use a screwdriver, compressed air, coat hanger, or whatever else works to clean between the pump and motor. While you're in there, you may want to blow out the windings with compressed air or a specialty product like cable clean or contact cleaner. After that's done give the motor a spin by hand see if you can feel any resistance or hear any noises. If not, turn on the power (unless you used a specialty product to clean the windings, then give it time to dry) and see if you have the same results. My method does not negate the possibility of mechanical or electrical damage, but it does take one thing off the list of possibilities. 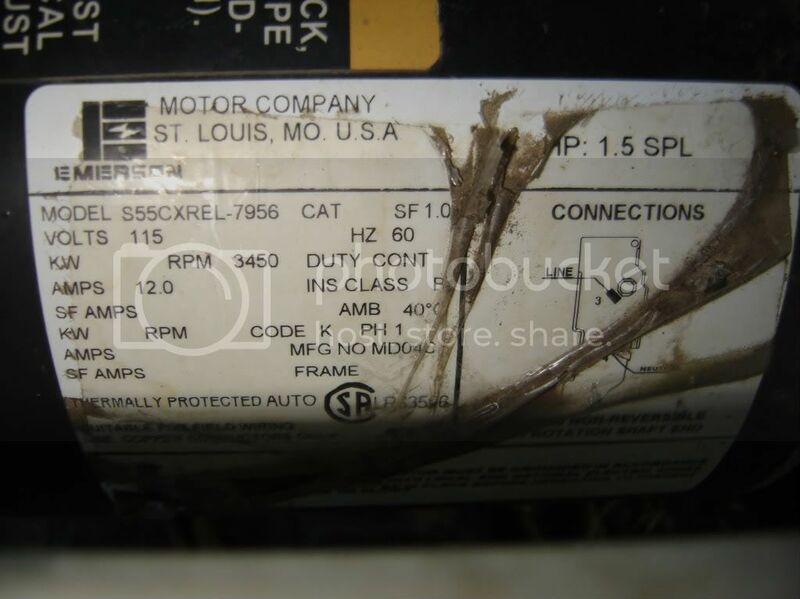 This would not be the first time I've seen a gunked up motor act as if it were bad. And, who knows, you may even save a little money with just a thorough cleaning. Good luck and let us know how you make out. Note to self...keep pumping equipment clean so as not to look like moron on TFP. Cleaned her up, plugged her in... runs fine. Glad to hear you got it running. Good job.